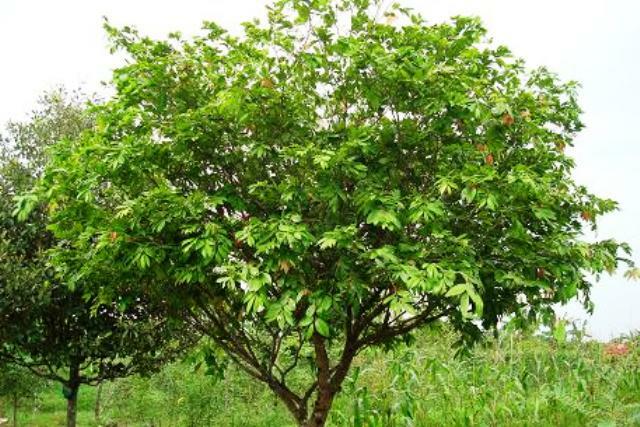 Namnam is a shrubby, much branched tree found in South East Asia, Ceylon and Western and Southern Peninsular India. It is seen only in cultivated state. 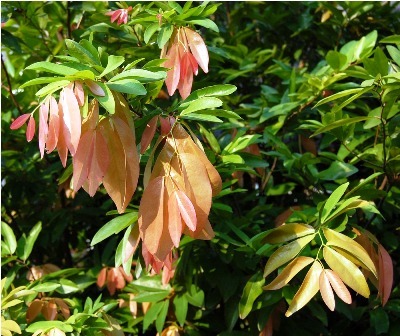 This plant possibly originated in Malaysia. A shrub or small tree, 3-15 m tall, with rather dense crown and with distinctly zig-zag twigs. Leaves 1-jugate with 1 pair of leaflets, petiole, 2-8 mm long; leaflets ovate-oblong, very asymmetric, 5.5-16.5 cm x1.5-5.5 cm, almost sessile, drooping. Inflorescences cauliflorous, 4-5 small racemes crowded together on hard knots on the trunk right down to the ground, rachis 0.5-3cm long; sepals 4, 2-4mm long, pinkish-white petals 5, 3-4mm long, white; stamens 8-10; style 5-6m long. Fruit (pod) kidney-shaped, 3-9 cm x 2-6 cm x1-4 cm fleshy, rugose brownish green, hanging from the trunk, 1-seeded. Seeds flattened kidney-shaped, 3-6 cm x 2-4 cm, brown. The fruit is edible having a pleasant sweet, sub-acid taste giving a feeling of unripe apple. The immature young fruit is, however, very sour. The mature fruit is also cooked with sugar to make sweets (compote). It can also be made into a fruit salad, picked, or be used to prepare a special ‘sambal’ (a condiment based on pounded chili). The fruits are reported to have useful medicinal properties too and are used in folk medicinal preparation. In fact, at some places. Namnam fruit is sold in the market for this purpose only. The seeds yield oil which is used in India for the treatment of skin diseases. As already stated, namnam is planted in the home gardens. There is a small demand for namnam fruits as it is used as an ingredient in some formulations of traditional medicine. Namnam grows well in wet tropical low lands, but experience in India suggests that it is more fruitful in monsoon climates with a distinct dry season. It prefers full sun but tolerate shade. An annual rainfall of 1500-2000 mm and daily temperatures of 22-35 C are desirable. The tree resists wind. 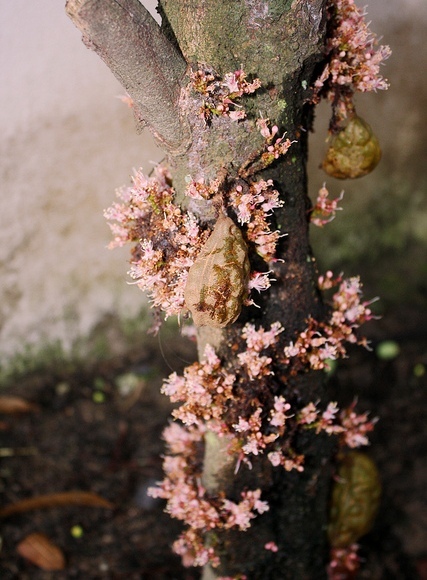 The tree is always multiplied by seed, although it can be propagated by budding, approach grafting and other methods. The seed, however, remains dormant during the first three months. Seedlings are quite slow in coming into bearing and the plants start bearing fruits after about 6 years. 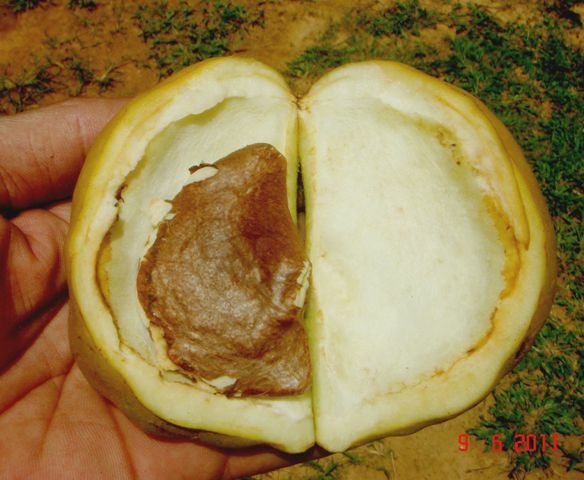 The fruit is picked when the skin turns yellowish brown. There are no yield records are available. In spite of several good points and some market demand too, namnam is grown more as a specimen plant than a regular commercial garden plant. It seems that the situation is not likely to change in near future.